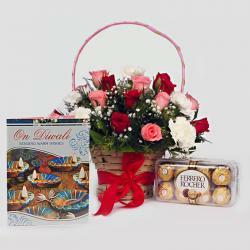 Product Consist : Bouquet of 15 Colorful Roses with Box of Kaju Katli Sweet (Weight : 500 gms) along with Diwali Card and Assorted Fire crackers (Worth Rs.300/-) (Note: Types of Fire Cracker are depends upon their availability no specific choice). 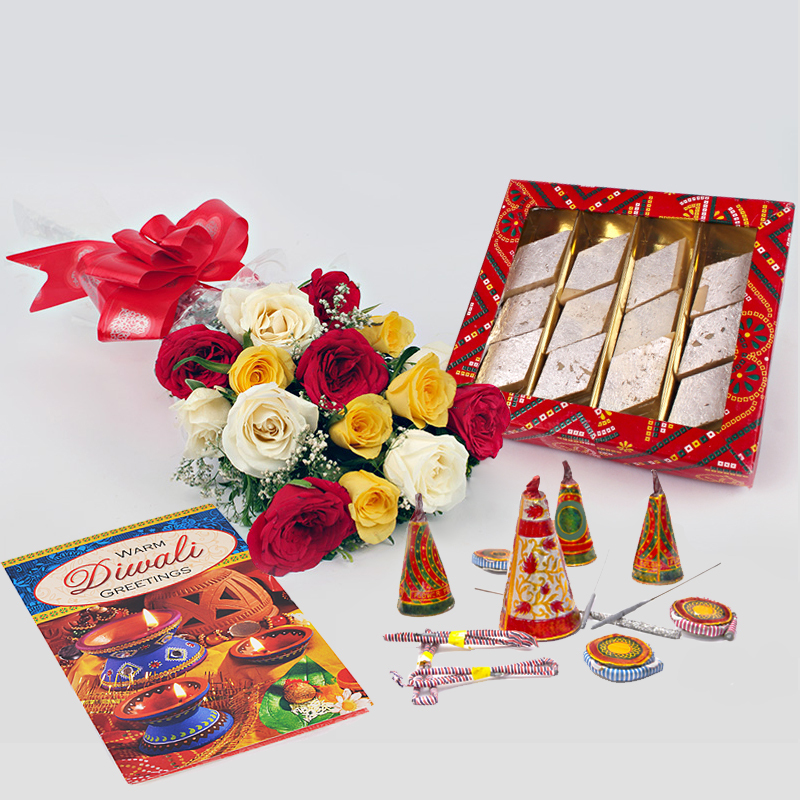 Enjoy this diwali celebration with your family and relatives then present them this amazing pack of 500gm of kaju Katli along with 15 mix roses and mix crackers . 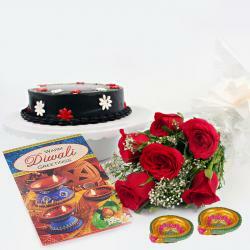 This gift pack has a special diwali greeting which will express your love and respect for them. The kaju Katli packed in a box is fresh and very tasty, which will melt in your mouth easily. The quality of the roses wrapped in a bouquet is fresh and beautiful which will spread their fragrance everywhere in the house. 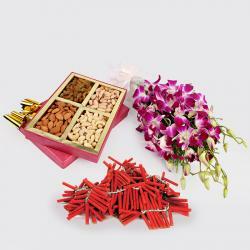 Product Includes : Bouquet of 15 Colorful Roses with Box of Kaju Katli Sweet (Weight : 500 gms) along with Diwali Card and Assorted Fire crackers (Worth Rs.300/-) (Note: Types of Fire Cracker are depends upon their availability no specific choice).